Travac would like to take you to the most easterly edge of North America……Newfoundland! This summer– join Travac as we travel to the province where the Vikings first landed over 1000 years ago leaving their indelible mark. You’ll have a chance to visit the oldest settlement and the oldest city in North America. At the same time you will traverse this vast land with its relatively small population and meet some of its friendly inhabitants. Here you can immerse yourself in the solitude of the provinces wilderness one day and embrace its vibrant culture the next. 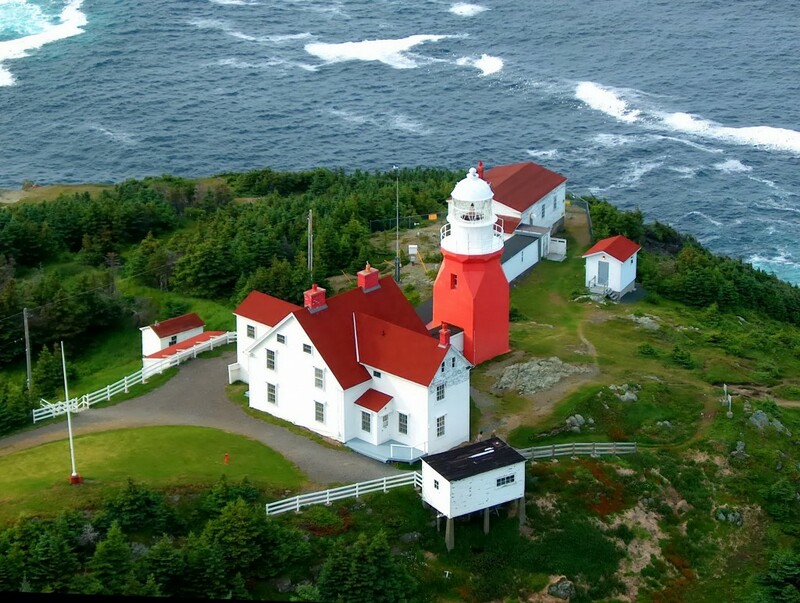 Your tour will take you from Newfoundland’s vibrant towns to its quaint villages and outports. You will follow stunning coastlines and take in some of the most incredible sky-scapes that you will ever see. You will visit Gros Morne National Park, UNESCO National Historic Site L’Anse aux Meadows, Trinity and Bonavista as well as many quaint and picturesque villages as you head into St. John’s. Your first step to secure your space on this exciting adventure is to simply call Travac Tours and have one of our helpful agents reserve your spot. With only 40 available spots on each tour it is bound to sell out early! Gros Morne Park is famous for its spectacular scenery. Apart from enjoying this incredible landscape by land, you will also venture off on a boat tour within the park on Bonne Bay. This will allow you an entirely different perspective on the millennia old striking landscapes. It will also give you the opportunity to enjoy the natural beauty of the region. Moving north we will visit the Port au Choix National Historic Site. Here you’ll find the crossroads of 6000 years of human history. The sea’s bounty drew Maritime Archaic Indian, Dorset and Groswater Paleoeskimo, and Recent Indian’s here long before Europeans arrived. Seals on passing iceflows were hunted by the Dorset and used for food, shelter and clothing. This morning you will make your way to the UNESCO National Historic Site, L’Anse aux Meadows. It was here in 1960 that a group of archeologists discovered the remains of what was an ancient Norse encampment that would have housed as many as 100 Vikings. While here, you will have a chance to view some of the recovered artifacts. Your guide will also go over how the encampment was discovered. Near the original encampment are several re-created sod and timber buildings depicting how life was lived 1,000 years ago. In the afternoon, we will take a guided tour of Sir Wilfred Grenfell Mission. The Grenfell Mission provided some of the earliest permanent medical services in Labrador and northern Newfoundland. Before the mission opened its first hospital at Battle Harbour in 1893, almost no health-care resources existed in the area. This morning we will leave the northern peninsula. There will still be many opportunities to enjoy its natural beauty and you driver will make stops along our route in order to allow time for picture taking. After breakfast, we will make our way to Gander. Gander is most famous for the role that it has played in Canadian aviation history. This role extends back the 1930’s and was most prominent in World War II when over 10,000 airmen were stationed in Gander. Most of the streets in Gander are named after famous aviators, such as Amelia Earhart, Alcock and Brown, Charles Lindbergh, Eddie Rickenbacker, Marc Garneau and Chuck Yeager. Today you will make your way to visit Twillingate, one of the most picturesque outports in all of Newfoundland. Located on the northeastern shore of Newfoundland, Twillingate is affectionately known as the ‘Iceberg Capital of the World’. Twillingate was once an active fishing community and is one of the oldest ports on the island. Your journey today will take you to Bonavista and Trinity. In Bonavista you will have the chance to view the cliffs and enjoy the wonderful coastal scenery. It was here that John Cabot made landfall in 1497. This is also a major center for the fishing industry in Newfoundland. From Bonavista you will continue on to Trinity. Trinity is one of the oldest communities in North America and is a gem of a village. Today will take you into St. John’s, the capital of Newfoundland. A stop at Cape Spear with a tour will be made onroute. After time for lunch (on your own) in St. John’s, we will embark on a 3 hour city tour. The city enjoys a long and vibrant history as the oldest English-founded city in North America. While the city owes a great deal to the fishing industry, it has been transformed into a modern city famed for its nightlife and its rich musical culture. Evening is free. This morning you will travel down the Avalon Peninsula to the town of Bay Bulls. From here you will make your way to Witless Bay where you will embark on a boat tour and have a chance to view thousands of Atlantic Puffins, Murres and other seabirds that make their home here in the summer. Tonight there will be a farewell dinner. Your guide will advise you of your transfer time to the airport for your return flight back to Ottawa from St. John’s. We are sure that you will have many fond memories of your wonderful Newfoundland experience. Please note that you are required to have valid Government issued photo-identification with you (driver’s license or passport). Total selling price including all taxes based on double occupancy: $3727.87 per person ($3299.00 per person + HST of $428.87). Total selling price including all taxes based on double occupancy: $3049.87 per person ($2699.00 per person + HST of $350.87).